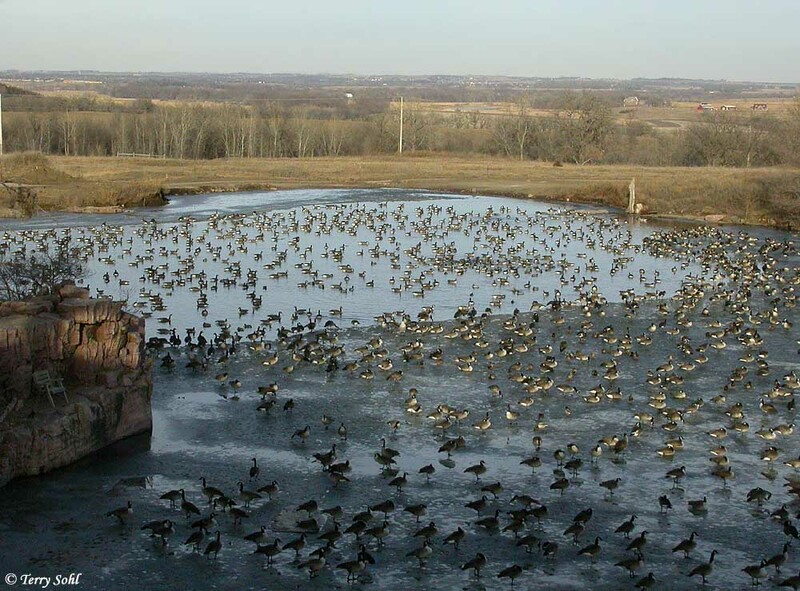 This photo was taken on December 15th, 2002 at Arrowhead Park just east of Sioux Falls. The guy who owned these old quarries had aerators put in to keep open water all winter long. He then gave the land to the city to use as a park. The Canada Geese come here by the hundreds for the winter. It doesn't hurt either that corn is given out for them to eat!! Taken with Nikon Coolpix 4500 camera.